[andrewstrauss] Binny got nowhere near the pitch. It was good tactics from England. Cook kept his men up and forced him to play the big shot and it was an excellent catch by Cook running back." 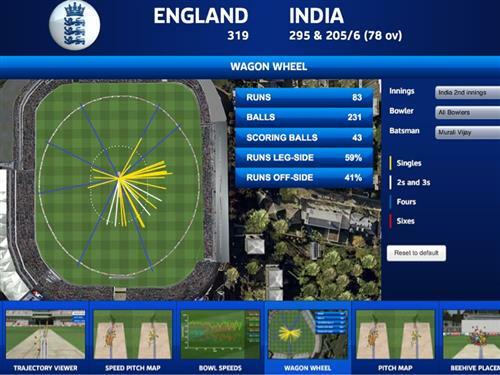 Vijay's wagonwheel on the iPad app - nearly 60 per cent of runs coming on the leg-side. Gower and Strauss commentate on Vijay's dismissal. Ballance was a man in demand this morning! 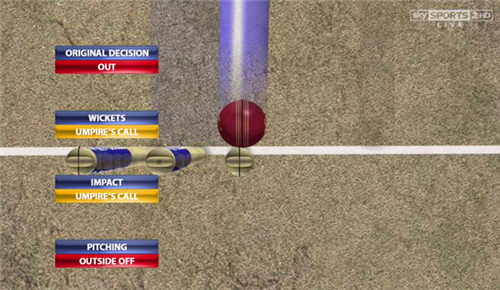 Bumble gives his verdict on that Robson lbw - and explains why Lord's teas are a crust above the rest. Jadeja continues after tea, over-the-wicket to the left-handed Ballance with a slip and three close catchers on the leg side. There is big turn for the left-arm spinner as Ballance plays out a maiden in watchful fashion. 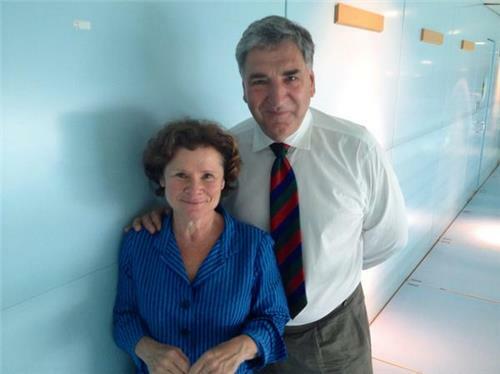 Two maidens since tea. Kumar doesn't make Cook play at half of his six deliveries. Both left-handers are able to play with the turn from Jadeja and pick up singles - three in total, two of them for Ballance - during the over. Ballance cuts the first boundary since tea, taking advantage of a short, wide offering from Kumar. The next delivery also disappears for four in leg-byes via Ballance's thigh pad. 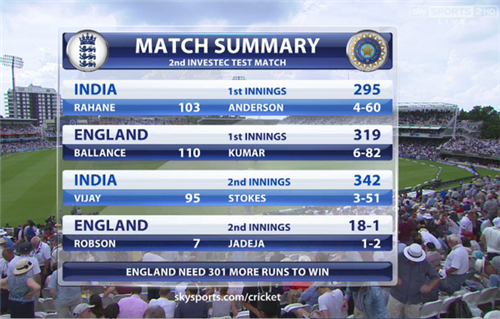 Jadeja is picked off for more runs on the leg side, prompting a switch to round-the-wicket. 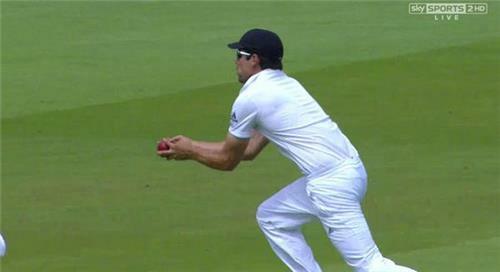 Cook punches down the ground for four off the back foot, just beating Vijay's chase from mid-off. 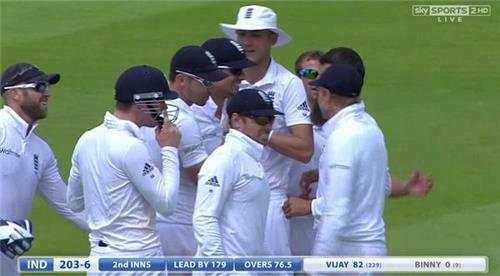 Kumar is given an official warning for running on the pitch later in the over. [bad-light]The umpires have taken a light reading. It's overcast and quite dark. Vijay is coming on at the Nursery End. He bowls off-spin. 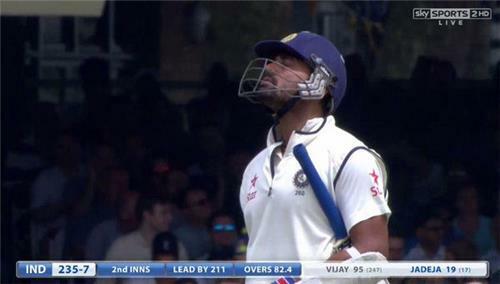 Vijay is operating from round-the-wicket to the left-handers. Ballance stretches forward to his first delivery and edges it down and out of the reach of slip for three runs. Cook also collects three later in the over, cut away behind square on the off side. Jadeja's switched ends. The floodlights are on.